Without Howard, A Wealthy And Flamboyant Black Planter And Surgeon, We Might Never Have Heard Of Rosa Parks, Medgar Evers Or Operation PUSH. 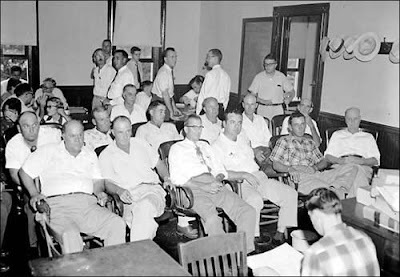 Picture from the Emmett Till trial, taken in 1955. 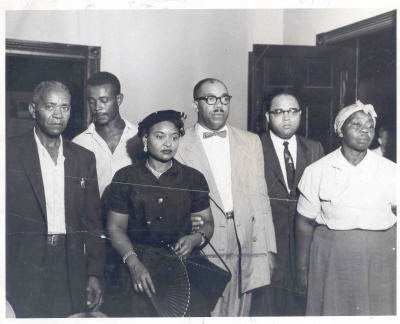 Left to Right: Two witnesses at the trial on the murder of Emmett Till, Mamie Till Mobley (Till's mother), T.R.M. Howard, Rep. Charles Diggs of Michigan, Amanda Bradley (trial witness). Credit: Press-Scimitar Collection. Fifty-four years ago today, Emmett Till, a 14-year-old Chicago boy visiting family in Mississippi, was abducted, mutilated and slain after he allegedly whistled at a white woman. Several days later, his horribly disfigured body was fished out of the Tallahatchie River. Many such tragedies had previously happened to black Americans and then been ignored. 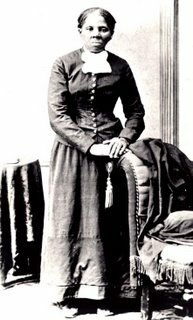 The Till case was different because of the efforts of a flamboyant and wealthy black planter and surgeon, T.R.M. Howard. Howard's place in history has been woefully slighted. Without him, we might never have heard of Rosa Parks, Fannie Lou Hamer, Medgar Evers or Operation PUSH. Howard was the crucial link connecting the Till slaying and the rise of the modern civil rights movement. But he was an unlikely civil rights hero. A prosperous businessman who spared no expense on his wardrobe, sped around in expensive Cadillacs, gambled on horses, ran a successful hospital that provided affordable healthcare, hunted big game in Africa and owned a 1,000-acre plantation, Howard promoted an agenda of entrepreneurship and self-help. Till's killing moved Howard to even greater efforts. Vowing that there would be "hell to pay in Mississippi," Howard gave over his home as a "command center" for black journalists and witnesses, including Mamie Till-Mobley (Emmett's mother). He doggedly pushed the theory that more people had been involved in the crime than the two white half-brothers, J.W. Milam and Roy Bryant. Sadly, as Howard had predicted in September 1955, an all-white jury ignored the overwhelming evidence and acquitted Milam and Bryant. 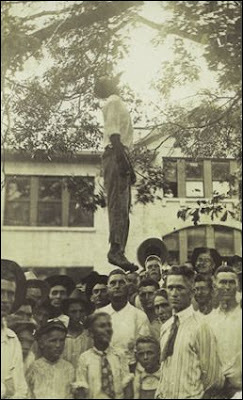 Howard remarked bitterly that a white man was less likely to suffer a penalty for such a crime than for "killing deer out of season." But the acquittal was just the beginning of Howard's fight. In the months after the trial, he gave speeches across the country to crowds of thousands, demanding a federal investigation. Mississippi's white press, which had once lauded Howard's self-help activities, was outraged. The Jackson Daily News castigated Howard as "Public Enemy No. 1." So scathing was Howard's criticism of the FBI's failure to protect blacks that J. Edgar Hoover took the rare step of denouncing Howard in an open letter. One of the least publicized stops on Howard's speaking tour was to an overflow crowd Nov. 27 at Dexter Avenue Baptist Church in Montgomery, Ala. 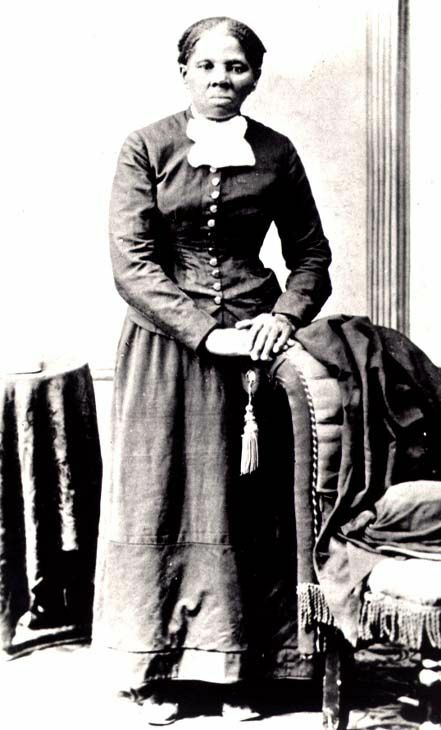 The official host was a largely unknown 26-year-old pastor named Martin Luther King Jr. Rosa Parks was in the audience. Four days later, when she refused to give up her seat on a segregated bus, Howard's speech was still headline news in the local black press. Parks reported that she was thinking of Emmett Till, a focal point of Howard's address, when she made her decision to act. Though Howard spent much of his life in Kentucky, Mississippi and Illinois, his political formation came in Southern California, where he attended the College of Medical Evangelists (now Loma Linda University) in the early 1930s. While there, Howard wrote a celebrated weekly column called "Our Fight" for the California Eagle, worked on the political campaigns of radio preacher Robert Schuller and socialist author Upton Sinclair, and met his wife, the Riverside socialite Helen Nela Boyd. Why isn't this larger-than-life figure better known? Howard, a classically American "man on the make," is hard to pigeonhole. His secular orientation and pro-business ideas made him an anomaly in a civil rights movement dominated by church leaders and left-liberal activists. Politically, his activities offer something to please and offend everybody: A staunch Republican and ally of President Eisenhower, Howard was also a committed feminist whose clinics offered safe abortions in the years before Roe vs. Wade. But those who knew T.R.M. Howard (who died in 1976 at age 68) still speak about his energy, charisma and commitment. "The man was dynamic," recalled Mamie Till-Mobley. "I just thought he was the greatest in the world." David T. Beito, a professor of history at the University of Alabama, and Linda Royster Beito, the chair of the department of social sciences at Stillman College, are the authors of "Black Maverick: T.R.M. 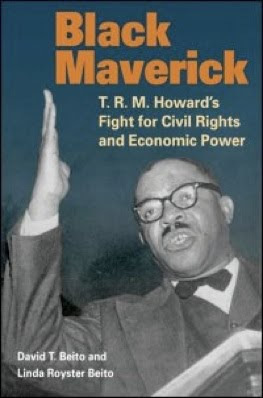 Howard's Fight for Civil Rights and Economic Power." We've known his story forever, it seems. Maybe that's because it's a tale so stark and powerful that it has assumed an air of timelessness, something almost mythical: Emmett Till, a 14-year-old black kid born and raised in Chicago, went down in August 1955 to visit some relatives in the hamlet of Money, Miss. One day, he walked into a country store there, Bryant's Grocery and Meat Market, and, on a dare, said something fresh to the white woman behind the counter -- 21-year-old Carolyn Bryant, the owner's wife -- or asked her for a date, or maybe wolf-whistled at her. 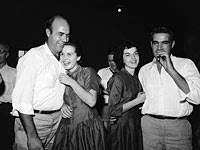 A few nights later, her husband, Roy Bryant, and his half brother, J.W. Milam, yanked young Till out of bed and off into the dark Delta, where they beat, tortured and, ultimately, shot him in the head and pushed him into the Tallahatchie River. His body, though tied to a heavy cotton-gin fan with barbed wire, surfaced a few days later, whereupon Bryant and Milam were arrested and charged with murder. Reporters from all over the country -- and even from abroad -- converged upon the little courthouse in Sumner, Miss., to witness the trial. The prosecution mounted an excellent case and went after the defendants with surprising vigor; the judge was eminently fair, refusing to allow race to become an issue in the proceedings, at least overtly. Nevertheless, the jury, 12 white men, acquitted the defendants after deliberating for just 67 minutes -- and only that long, one of them said afterward, because they stopped to have a soda pop in order to stretch things out and ''make it look good.'' Shortly thereafter, the killers, immune from further prosecution, met with and proudly confessed everything to William Bradford Huie, a journalist who published their story in Look magazine. I have spent a good bit of time trying to do the same thing, even though it's hard to see how I might have any kind of connection with the story of Emmett Till. I am a white man from the Northeast who is not a lawyer or an investigator or an activist; what's more, the whole thing happened a dozen years before I was born. But as is the case with so many other people, the story took fierce hold of me the first time I heard it, as a junior in college in 1987, and it has never let go. It drove me, after graduation, to take a job at The Greenwood Commonwealth, a daily newspaper in Greenwood, Miss., just nine miles from Money. There, I found myself surrounded by people who really were connected, in one way or another, with the case: jurors, defense lawyers, witnesses, the man who owned the gin fan. My boss, a decent man who was relatively progressive when it came to matters of race, nevertheless forbade me to interview any of them -- even to ask any of them about it casually -- during the year I worked for him. There were others, though, who were willing to talk, were even quite obliging about it, which surprised me, because these were men who had rarely, if ever, been interviewed on the subject. You see, I wasn't interested in talking to Till's cousins and other members of the local black community, the people who had been there with him at the store, who had witnessed or heard tell of his abduction and had worried that they might be next. Those people had been interviewed many times already; I knew what they had to say, empathized with them, understood them. The people I wanted to interview were those with whom I couldn't empathize, those I didn't understand. I wanted to sit down with the men who were complicit in what I considered to be a second crime committed against Emmett Till -- the lawyers who defended his killers in court and the jurors who set them free. I wanted to ask: How could they do it? How did they feel about it now? And how had they lived with it for 40 years? I talked to four of them. They're all dead now. Ray Tribble is easy to spot in the photographs and newsreel footage of the trial: whereas 11 of the jurors appear to be staid middle-aged or elderly men, Tribble is wiry and young, in his 20's. Later he became an affluent man, a large landowner, president of the Leflore County Board of Supervisors. Whenever his name came up -- which it did fairly often, at least when I lived in Greenwood -- it was uttered with great respect. I was in town for six months before I learned that he had been on the Emmett Till jury. Six years later, I called Tribble to see if he would talk to me about the trial. He didn't really want to, he said, but I was welcome to come over to his house and visit for a while. He might discuss it a bit, and he might not, but in any event, he didn't feel comfortable with my bringing a tape recorder, or even a note pad. Tribble lived way out in the country, about five miles north of the crumbling building that had once been Bryant's Grocery. He met me on the front lawn and ushered me inside, where we talked a good while about everything, it seemed, but what I had gone there to discuss. Then, I recall, he suddenly offered, ''You want to know about that thing, do you?'' I did. He had first suspected it might not be just another trial, he said, when reporters started showing up; then the camera trucks clogged the square, and the jury was sequestered, lodged in the upper floor of a local hotel. He recalled one member managed to bring a radio in so the men could listen to a prizefight. And then, without any emphasis at all, he added, ''There was one of 'em there liked to have hung that jury.'' One juror, he explained -- not him, but another man -- had voted twice to convict, before giving up and joining the majority. I was stunned. I had always heard, and believed, that the jury's brief deliberation had been a mere formality. 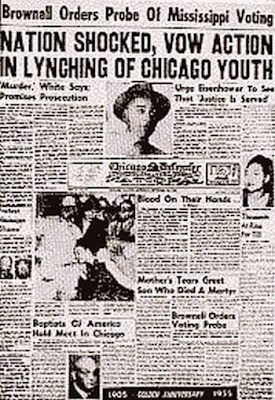 This news forced upon me a belated yet elementary epiphany: the Emmett Till jury was not a machine, an instrument of racism and segregation, a force of history. It was just like any other jury -- a body composed of 12 individuals. One of whom, apparently, was somewhat reluctant to commit an act that history has since ruled inevitable. Tribble told me he couldn't recall which juror, but said it in a way that made me wonder if he truly couldn't remember or if he could but didn't care to say. I ran some names by him, but he would neither confirm nor deny any of them, and fearing that the conversation might soon be coming to an end, I changed the subject and posed the question I had wanted to ask him for six years: Why did he vote to acquit? He explained, quite simply, that he had concurred with the defense team's core argument: that the body fished out of the Tallahatchie River was not that of Emmett Till -- who was, they claimed, still very much alive and hiding out in Chicago or Detroit or somewhere else up North -- but someone else's, a corpse planted there by the N.A.A.C.P. for the express purpose of stirring up a racial tornado that would tear through Sumner, and through all of Mississippi, and through the rest of the South, for that matter. Ray Tribble wasn't stupid. He was a sharp, measured man who had worked hard and done well for himself and his community. How, I asked him, could he buy such an argument? Hadn't Emmett Till's own mother identified the body of her son? Hadn't that body been found wearing a ring bearing the initials LT, for Louis Till, the boy's dead father? In 1955, Joseph Wilson Kellum was a lawyer in Sumner, Miss. In 1995, he was still a lawyer in Sumner, and still practicing out of the same office, across the street from the courtroom where Bryant and Milam were tried and acquitted. J.W. Kellum was their defense attorney. Kellum was a 28-year-old grocery clerk who had never attended college when, in 1939, he took the state bar exam, passed it and immediately started a solo law practice. For more than 50 years his office was a plain, squat concrete structure bulging with messy piles of books and files and papers, unremarkable but for its proximity to the courthouse. We talked there for 90 minutes, and he never once grew defensive or refused to answer a question. At the start, he told me, he had regarded the defense of Bryant and Milam as ''just another case over the desk.'' Had he ever asked them if they killed Emmett Till? I quoted his statement about the jurors' forefathers turning over in their graves if the defendants were convicted. What had he meant by that? ''Their forefathers, possibly, would not have ever convicted any white man for killing a black man,'' he explained. I asked Kellum if he'd had any misgivings about appealing to the jury's racial attitudes that way. ''No, not at the time,'' he replied. ''Did you feel the same way at the time?'' I asked. ''Part of the day's work,'' he said. Did he now believe that Bryant and Milam had, in fact, murdered Till? If that statement were true, it would make him quite possibly the only man alive at the time who had not read or at least heard about Huie's Look article. But I didn't press him on it, didn't call him a liar. The strange thing is that, in my memory, I had always pressed J.W. Kellum hard, maybe even a bit too hard; for 10 years, I felt a bit guilty about how pointedly I had posed difficult questions to a rather genial octogenarian who had graciously invited me into his office and offered me as much of his time as I wanted. Today, though, when I read through the transcript of that conversation, I can't help feeling that I was too easy on the man. I guess we all make accommodations with the past. It is not widely known, but shortly after they were acquitted, Roy Bryant and J.W. Milam suffered a series of reversals. The family owned a string of small stores in the Delta; almost all of their customers were black, and most of them boycotted the stores, which soon closed. Local banks, with one exception, refused to lend money to Milam, who was also a farmer, to help him plant and harvest his crop. The one exception was the little Bank of Webb; Huie speculated that the bank came to Milam's rescue because John Wallace Whitten Jr., another member of the defense team, sat on its loan committee. According to Huie (who later paid the brothers for the film rights to their story), it was Whitten who brokered the Look interview, which took place in Whitten's small law office. Forty years later, Whitten sat down in that same office to discuss the trial with me. Whitten was a most unlikely savior for two such men. A scion of one of the area's oldest and most prominent families, he went to college and law school at Ole Miss. After graduation, he shipped off to the war in Europe, where he rose to the rank of captain and was awarded a Bronze Star. When he returned home, J.J. Breland, the senior lawyer in town, asked Whitten to join his law firm. Such was the stature of the Whitten name that Breland, who was more than three decades older than Whitten, immediately renamed his firm Breland & Whitten. Whitten was 76 and suffering from Parkinson's disease when we met in 1995, and though he was still practicing law, he often had difficulty speaking. Despite that -- and the fact that, as he told me later, his wife had ''fussed'' at him for agreeing to speak with me -- he was a gracious and open host, and like Kellum, never grew defensive or refused to answer a question. I appreciated his candor, even as I suspected it was a bit incomplete. Or perhaps Whitten was merely choosing his words very carefully; when he said, ''I'm sure I did at one time,'' the natural interpretation is, ''I must have, or I never would have done what I did.'' But I doubt very much that a man like John Whitten could have actually believed such a dubious thing at any time; I imagine that he and the rest of the defense weren't really trying to sell that argument to the jurors so much as they were offering it to them as an instrument of plausible deniability should anyone question their judgment in the future. And now, like J.W. Kellum, he seemed to be engaging in a bit of historical revisionism. There are people in the United States who want to destroy the way of life of Southern people. . . . There are people . . . who will go as far as necessary to commit any crime known to man to widen the gap between the white and colored people of the United States. 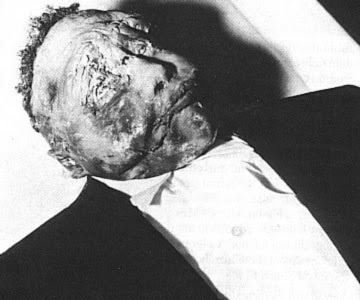 They would not be above putting a rotting, stinking body in the river in the hope it would be identified as Emmett Till. ''Did you really feel that he was a good man?'' I asked. He was silent for a moment. ''I don't know,'' he said. He was clearly feeling uneasy now, and I could see that it was not merely with this line of questioning; his discomfort, I suspected, mirrored the way he had felt 40 years earlier when he had been called upon to defend men of a type he did not associate with, men who had committed a crime he no doubt considered distasteful, to say the least. People of John Whitten's background, his station, did not do such things, or embrace those who did. And yet, in killing Emmett Till, Milam and Bryant had drawn fire from the outside world, not just upon themselves and their crime, but upon their state and their region and nothing less than the entire Southern way of life. And John Whitten, as one of the chief beneficiaries of that way of life, had been called upon to defend it by defending them. ''Why 'Anglo-Saxon?''' I asked him. And it occurred to me, right then, just how much the defense of O.J. Simpson owed to the defense of Roy Bryant and J.W. Milam, and how little, in some ways, the country had changed in the past 40 years. The issue of race was still so potent that it could overwhelm evidence and hijack a jury, even when the case at hand was a brutal, savage murder. I found it interesting that Whitten made the connection; I wondered if anyone in that courtroom in Los Angeles had. Sometimes, when you set out to find answers to what you believe are simple questions, what you actually end up with are more questions, the kind that are anything but simple. That's what happened to me during those four conversations. Especially the last one. Howard Armstrong. In 1995, he was, aside from Ray Tribble, the only living juror. In 1955, he was a 36-year-old veteran of World War II, just like John Whitten, and was living in Enid, up in the northern stem of Tallahatchie County. Most of the other jurors, he said, were from other parts of the county, and he didn't know them. They might have known him by reputation: he was a lay minister, leader of the deacons at the Mount Pisgah Baptist Church. A few years later he would be ordained, and would serve as pastor to a number of congregations for the next 35 years, finally retiring at the age of 75, just a year before we met. As with the others, I spoke to Armstrong on the phone first, and he invited me to come by and visit -- although, like Ray Tribble, he wasn't sure he wanted to talk about the trial. No one, he told me, had ever tried to interview him on the subject. ''Ain't a lot of people even know I served on that jury,'' he said. ''He just never did talk about that much,'' his wife, who was sitting next to him, explained. I was disappointed; somehow, I had hoped he might have been that lone dissenter. I asked if he still believed they had reached the right verdict. ''I was surprised at all the fuss,'' he said. ''I thought we deliberated that thing, came back with a decision and that should be it.'' I asked him if racial tensions were sharpened there afterward. ''There wasn't as much tensions as there are now,'' he said. And I found that statement more disturbing than anything that Ray Tribble, or J.W. Kellum, or John Whitten had said to me. Because I believed him. I believed that Howard Armstrong was not a racist. I felt I had gotten to the point where I could spot a racist of almost any type in almost any circumstance, and he was not one. And yet he had voted -- at least three times, by his own account -- to acquit two men who were clearly guilty of a horrific, racist crime. I have spent a lot of time contemplating that conundrum over the past 10 years, and I have come to the conclusion that at least part of the problem is ours. We tend to think of racism, and racists, the way we think of most things -- in binary terms. Someone is either a racist or he isn't. If he is a racist, he does racist things; if he isn't, he doesn't. But of course it's much more complicated than that, and in the Mississippi of 1955 it was more complicated still. Today, we can look back and say that Howard Armstrong should have voted to convict Roy Bryant and J.W. Milam of murdering Emmett Till; but for him to buck the established order like that would have actually required him to make at least four courageous decisions. First, he would have had to decide that the established order, the system in which he had lived his entire life, was wrong. Second, he would have had to decide that it should change. Third, he would have had to decide that it could change. And finally, he would have had to decide that he himself should do something to change it. Howard Armstrong never made it to that final step. Another juror apparently did, and managed to stay there through two votes before backing down. It is frustrating to me that I will probably never know who that other juror was, where he found the courage that got him that far and why, ultimately, he changed his mind. But it is even more frustrating to me to imagine that Howard Armstrong made it past Step 1 but got tripped up on 2 or 3. I only wonder if it was frustrating for him, too. In 1995, sitting with him in his living room, I took his answers, his unwavering declarations that he had no regrets, at face value; today, I'm not so sure. Rereading my notes after 10 years, I can perceive a certain defensiveness in his words, an urge to keep the conversation short and narrow, perhaps cut off the next question before it could be asked. His insistence, like J.W. Kellum's, that this was just another trial feels flat now. And then there's his vacillation on the matter of whether or not the defendants were ''outlaws.'' Did he really believe, in both 1955 and 1995, that Bryant and Milam were innocent, and that he himself had done the right thing in voting to set them free? Or was this merely something he repeatedly told himself -- and others -- to get by? I do believe he was not a racist in 1995. But had he been one in 1955 and then grew, in subsequent decades, so ashamed of that fact that he did everything he could to defeat it in his own mind? Richard Rubin is the author of ''Confederacy of Silence: A True Tale of the New Old South.'' He is currently at work on a book about World War I. *Breaking News*Mob Rule In Sumner,MS!!! Sometime Thursday, August 20, 2009, Pittman & his friend McKeel Scott (at the time of this writing his whereabouts is still unknown) were accused by John Whitten III, the County Attorney of Tallahatchie County, of burglarizing the home of a neighbor and quite possible a relative…According to several sources, the boys were not actually caught in anybody’s home at that time, but were still accused. 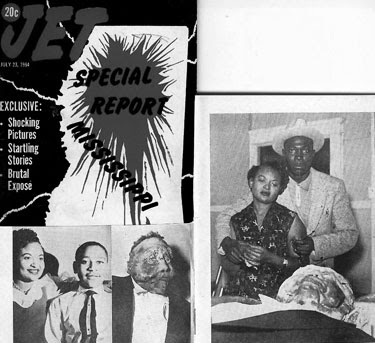 This supposed act infuriated Mr. Whitten, whose father, John Whitten Jr., was the defense attorney for the killers of Emmett Till (the brothers J.W. Milam & Roy Bryant), and so instead of going through the proper channels he decided to seek his own brand of vigilante justice, southern style. He organized a militia of what could best be described as a lynch mob. Some of these men were actual law enforcement officers while others such as the case of an unidentified white maintenance man from Tutwiler, MS, simply wore a police uniform and was given a police car along with plenty of booze, guns and ammunition. Even the K-9 unit from the Department of Corrections at the notorious Parchman State Penitentiary was alerted for this mission. In addition to the man, fire and canine power, Whitten deployed two military tanks for the purpose of hunting down Mr. Will Pittman as well. Around 5pm on Thursday evening, Will Pittman was Public Enemy # 1 of the Magnolia State as far as Whitten was concerned. Whitten proceeded to chase Pittman with his posse of dogs, firepower and tanks for what seem to be several hours and a hauntingly surreal event for anybody who witnessed the spectacle…As bullets were whistling all around him, Will Pittman had the presence of mind to run into a field and drop to the ground to cover himself in mud and grass. Not knowing where Pittman was hiding with the only visible evidence being footprints that seemed to lead to nowhere, by this time the would-be executioners, literally drunken with sadistic power as well as large quantities of alcohol, out of frustration of not being able to find the wily Pittman, began to shoot wildly into and around the field with their 50 caliber machine guns, assault rifles and tank. Several law officials in the area were well aware of as well as disturbed by what was going on in Sumner. Sheriff Deputy Willie Booker of Tallahatchie County was at the scene and called Sheriff William Brewer about what was taking place to stop the potential lynching and reinforce law and order, but was told not to get involved and leave. Not wanting the death of Will Pittman on his conscience, Sheriff Deputy Booker alerted Attorney Ellis Pittman of Clarksdale, MS, the father of Will Pittman, about the mayhem taking place up in Sumner. Once he became aware that his son was the target of lynch mob justice by a man, John Whitten III, who is a sworn mortal enemy of his from their confrontations in the judicial arena, Attorney Pittman immediately alerted the appropriate authorities and shortly thereafter got into his car in a literal race of life and death to Sumner, Ms.
Attorney Pittman successfully made it to the Sumner town jail to bail his son out later that evening. His son currently is being housed in a safe place and has not been publicly seen since his horrifying brush with death. Attorney Pittman was also successful in interviewing and recording several law enforcement officials about last Thursday’s incident…Surprisingly all interviewed were refreshingly honest with Attorney Pittman about the details of the manhunt confirming 'the fact is stranger than fiction tale' without hesitation. As far as the behavior of lynch mob leader John Whitten is concerned, Attorney Pittman told W.E. A.L.L. B.E. News that Whitten “is supposed to be enforcing laws and not breaking them.” From what I was able to find online, Whitten was a municipal court judge for the towns of Charleston, Tutwiler, Webb and Okland, Ms. Ironically, in addition to his duties as county prosecuting attorney for Tallahatchie County he is also the city attorney for Tutwiler, a predominantly Black town with a Black mayor and 100% Black town council. Attorney Harvey Henderson was Tutwiler’s attorney before John Whitten. Harvey Henderson was also one of the actual attorneys that defended Till’s killers with John Whitten, Jr. Although WABG CH 6 in Greenville,MS interviewed some principle players in this story last week, currently there is a media blackout on this story. However, there are some things you great citizens can do to bring some truth and light to this horrible case of true human rights violations in a supposedly post-racial country supposedly governed by laws and not men. Remember we have the power of the information highway (internet) let’s use it for the power of good. The best weapon in any arsenal and war is knowledge! Keep this story circulating in cyberspace and beyond by all means necessary!!! You can do it!!! Remember you heard this story first on W.E. A.L.L. B.E. News http://www.weallbe.blogspot.com, the home of 21st Century citizen journalism!!! E-mails to the Department of Justice, including the Attorney General, may be sent to AskDOJ@usdoj.gov. THIS E-MAIL ACCOUNT IS NOT AVAILABLE FOR SERVICE OF OFFICIAL, CASE-RELATED OR LEGAL DOCUMENTS AND IS NOT MONITORED FOR SUCH SUBMISSIONS OR FOR OTHER TIME-SENSITIVE COMMUNICATIONS. E-mails with attachments will be deleted because they may contain viruses. To comment on the USDOJ Web site, please e-mail webmaster@usdoj.gov . THIS E-MAIL ACCOUNT IS NOT AVAILABLE FOR SERVICE OF OFFICIAL, CASE-RELATED OR LEGAL DOCUMENTS AND IS NOT MONITORED FOR SUCH SUBMISSIONS OR FOR OTHER TIME-SENSITIVE COMMUNICATIONS. E-mails with attachments will be deleted because they may contain viruses. A Cake & Ceremony Fit For A King…‘The King Of Swing’ That Is!!! 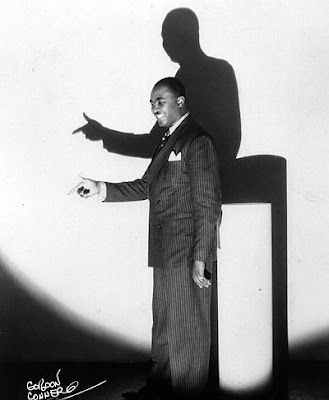 In 2007, R2C2H2 Tha Artivist created the Jimmie Lunceford Jamboree Festival http://www.jimmieluncefordjam.blogspot.com to rectify this cultural and historical error/omission and to re-introduce a forgotten chapter in Memphis music’s rich past. Over a 2 year period events including wreath laying ceremonies, two Jimmie Lunceford Jamboree Festival Symposiums @ Manassas High School, a W.E. A.L.L. B.E. TV documentary as well as a special news feature by the Memphis City Schools were created to bring attention and awareness to this unique man’s contribution to the culture and education of our city. The Jimmie Lunceford Legacy Awards were created to bring honor and awareness to those musicians, dead and living, who have committed themselves to that exceptional ‘Luncefordean tradition’ of excellence in music and music education. Alongside the art of the Renaissance Man known as R2C2H2 Tha Artivist is a beautiful designed and heavenly floral wreath by that Memphis floral institution known as Henley’s Flowers http://www.henleysflowers.com/…The establishment’s founder, the late Ms. Henley, was a true pioneer in the florist industry in Memphis as well as the wife of Jimmie Lunceford’s former music student and influential swing band drummer, Jimmie ‘Crawl’ Crawford…Talk about coming full circle!!! Longtime Memphis music patron, Luncefordphile, jazz aficionado and civic leader Dr. Vasco Smith moves the crowd with his emotional plea on why it is important to remember the genius of Jimmie Lunceford and why it is necessary to celebrate our other heroes and heritage. Working in the true Luncefordean tradition of excellence in music and music education, prolific gospel literary & performing artist Gloria McGhee and her youth group PADA (People Against Drug Abuse) http://www.freewebs.com/padaministries/ provides food for thought & the soul with their spirited gospel infused vocal ensemble performances…Church!!! 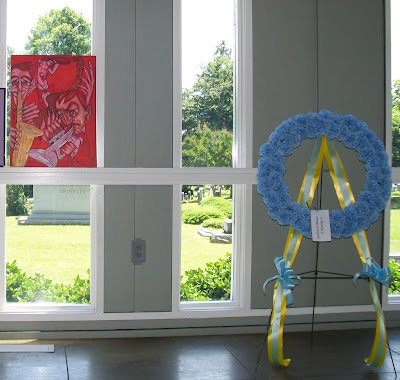 At Jimmie Lunceford’s earthly remains resting place with wreath and horn in hand, R2C2H2 Tha Artivist sums up the importance of memorializing Jimmie Lunceford not only as a great musician and teacher, but also as a fallen civil rights leader and visionary who used music to teach the world that there was a better way for us to live, thrive and jive together…Furthermore, R2C2H2 Tha Artivist encourages those at graveside to continue to make Jimmie Lunceford’s legacy a living one by promoting the teaching of African American history as well as sustaining the arts and the arts education in a community and city which is arguably America’s cultural crossroads!!! He ends by playing a classy, brassy and jazzy swinging taps in the rendition of Jazz Cat No. 1, Louis Daniel ‘Satchmo’ Armstrong!!! * Elmwood Cemetery & Staff for providing us access to their exceptional beautiful chapel and cemetery free of charge!!! * Bro. Jerrold Grabler for timely financial donation. * Bro. Todd Richardson for timely financial donation. * Bro. Grover Mosley for sharing his enthusiasm and collection of Jimmie Lunceford memorabilia. * Bro. Kelvin Butler for his invaluable camera work in helping capturing history. Is MLK's SCLC On Verge Of Extinction??? Mumia Speaks: "The San Francisco 8 -- No More!" Reparations For Blacks A Bad Idea? Bill Maher:'Birthers' Must Be Stopped!! !